There are countervailing arguments right now about the long-term impact of increased Japanese LNG imports on the commodity’s global market. Certainly in the wake of the 2011 Fukushima Daiichi nuclear disaster Japan has shifted heavily toward LNG as it has shut down all of its 48 nuclear reactors. The question is to what degree Japan intends to rely on this fossil fuel, and what other sources Japan will use to fill its energy gap. A look at Japan’s LNG consumption since 2011 is instructive. Since then, Japanese use of LNG has increased by almost 20 million metric tons, or about 8 percent of global demand in 2013. The Wall Street Journal writes that this increased demand has led to more than 50 LNG export terminal proposals worldwide. However, despite surging demand for LNG in Japan (and China) recently, there are reasons to temper expectations. The Wall Street Journal speculates that a possible Japanese return to nuclear power and China’s staggeringly large new deal with Russia to import regular, piped natural gas should cause LNG speculators to hedge their bets somewhat. While the question of China’s future LNG consumption may not be clear, demand will surely rise over the short to medium-term, even if that growth ends up being less pronounced than the increase in natural gas demand. Even with the prospect of a slowdown in China’s economy, it is simply too large not to diversify and increase the weighting of LNG in its energy mix, especially as the environmental impact of coal becomes much more problematic in its mega-cities. Japan’s future demand for LNG may also be difficult to gauge, but there are indicators as to what direction the industry in Japan will take. 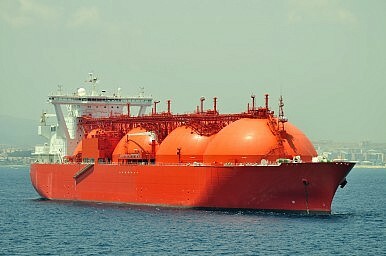 First of all, there are the $10 billion in loans put together by major private banks like Sumitomo Mitsui Banking and Mizuho Bank, along with the government’s Japan Bank for International Cooperation, to fund LNG projects in North America slated for delivery between 2017 and 2018. Additionally, by 2020 Japan is expected to order roughly 90 LNG ships worth $19.3 billion. However, the location of the investments is important, as that will signal the long-term viability of LNG imports for Japan. Overall Japanese investment in North America has increased substantially since 2011, going from roughly $15 billion to more than $45 billion in 2013. A significant portion of that investment is being funneled into the emerging shale natural gas industry in both the U.S. and Mexico. Once U.S. shale gas is online, it is expected to be 20 to 30 percent cheaper than Japan’s other suppliers. While Japan’s nuclear reactors would still be a less expensive alternative to LNG, not to mention improving the country’s trade balance, the future of that industry is very much in doubt. Even the two reactors at the Sendai nuclear plant in Kyushu, which recently passed the Nuclear Regulatory Agency’s new and much more stringent safety inspections and are expected to be the first in the country to come back online, are facing further delays. Kyushu Electric Power Co. fell behind in submitting paperwork, and now the restart of the two reactors – originally slated for the fall – has been pushed back until at least 2015, with the company’s spokeswoman stating “we cannot say when the (restart) will be,” and that the company has no timeline in place for a restart. Delays of this sort at the country’s other reactors should be expected as well, while keeping in mind that perhaps only a dozen or so actually have a realistic chance of becoming operational again. There are two reasons for this: First because the NRA’s new inspection qualifications make it extremely difficult for all but the newest and best designed reactors to be restarted, and second because the new regulatory guidelines allow local communities to have a say in whether the plants can come back online. With the efforts at Fukushima Daiichi showing no clear path toward a viable cleanup and containment, the population at large is still highly skeptical of a general nuclear restart. The Japanese government and its largest banks are speaking with their pocketbooks, and indicating which direction Japan’s energy sector is likely to take.